Just one day after releasing the final public versions of iOS 12, Apple is back at it again, this time pushing out its first 12.1 beta for developers, along with other first betas of watchOS 5.1 and tvOS 12.1. 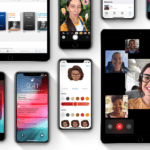 So far, the public release of iOS 12 has been very good based on consensus online, with owners of older iOS devices happy with Apple’s stated speed and performance improvements. Apple is set to released macOS Mojave 10.14 on September 24, 2018.